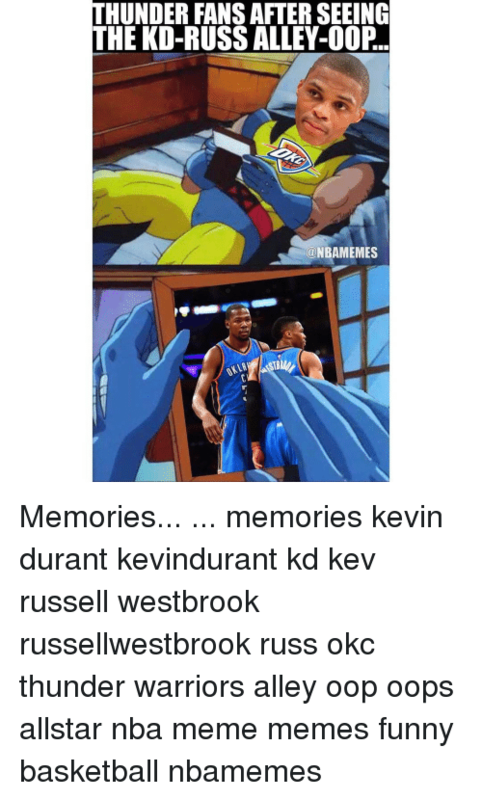 Russell Westbrook, Sports, and Kds: THERE'S BEEN MANY-A-TEAMMATES I'VE HAD HERE BEFORE THAT LEFT ME, AND THE RE STILL MY BROTHERS. 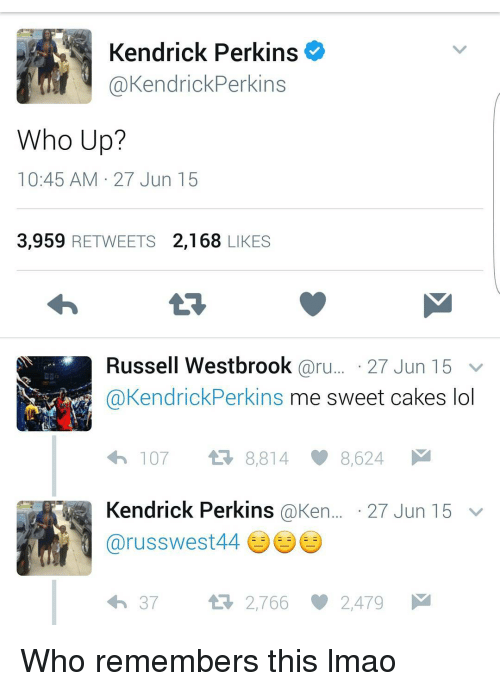 THAT STILL TALK TO AND IDONT TALK TO. 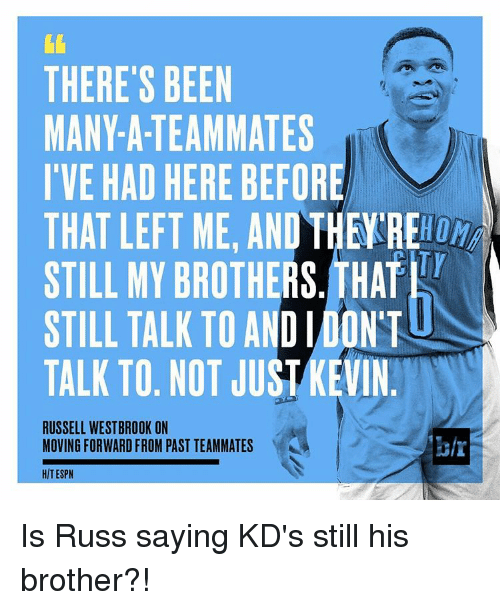 NOT JUST KEVIN RUSSELL WESTBROOK ON MOVING FORWARD FROM PAST TEAMMATES HIT ESPN Is Russ saying KD's still his brother?! 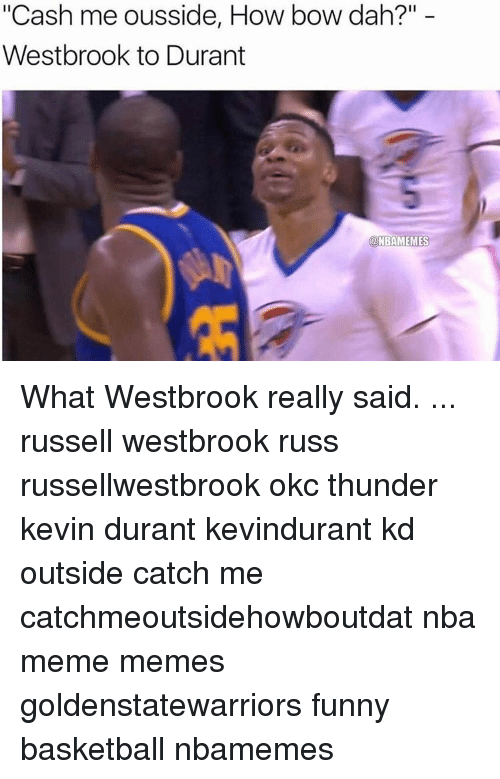 Is Russ saying KD's still his brother?! 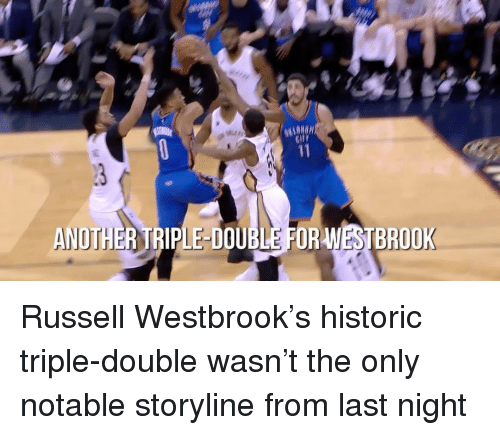 Memes, Oklahoma City Thunder, and Russell Westbrook: RUSSELL WESTBROOK TRIPLE DOUBLES 29 PTS 12 REB 1 AST Russell Westbrook is now tied for 3rd-most triple-doubles ever in an NBA season. 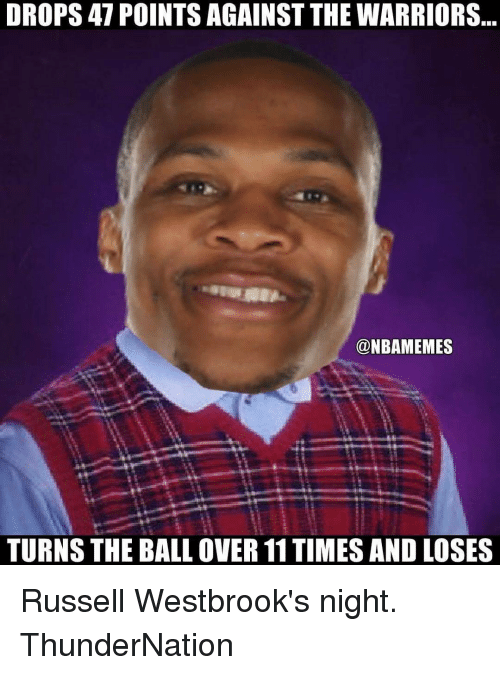 The Oklahoma City Thunder still have 28 games left. 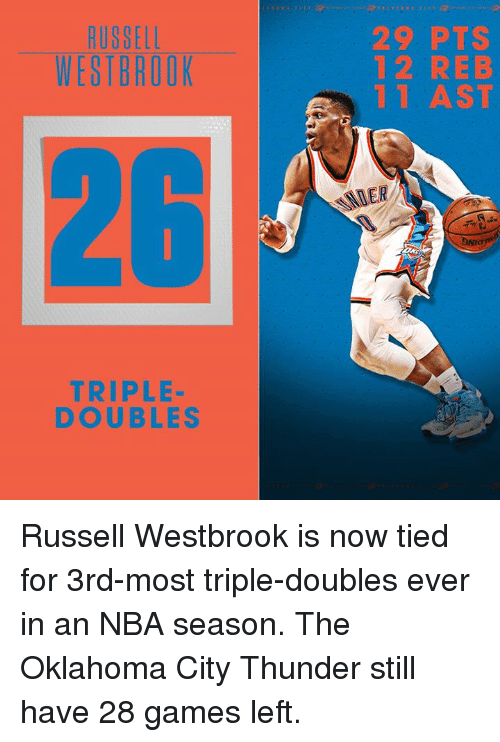 Russell Westbrook is now tied for 3rd-most triple-doubles ever in an NBA season. 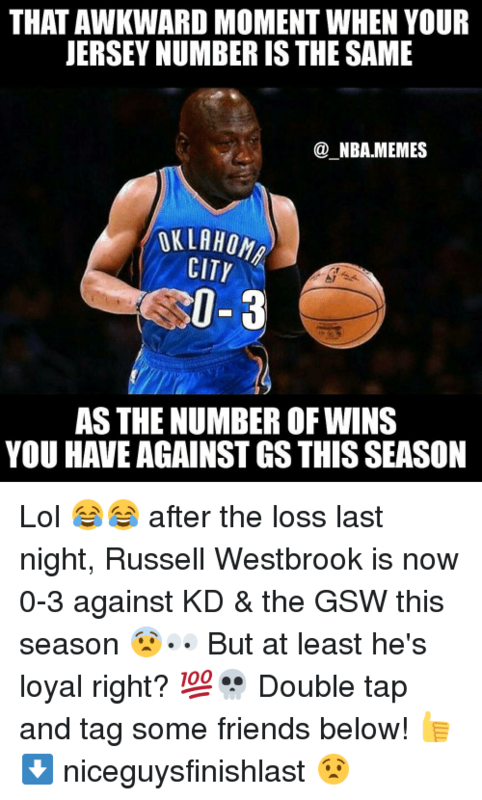 The Oklahoma City Thunder still have 28 games left. 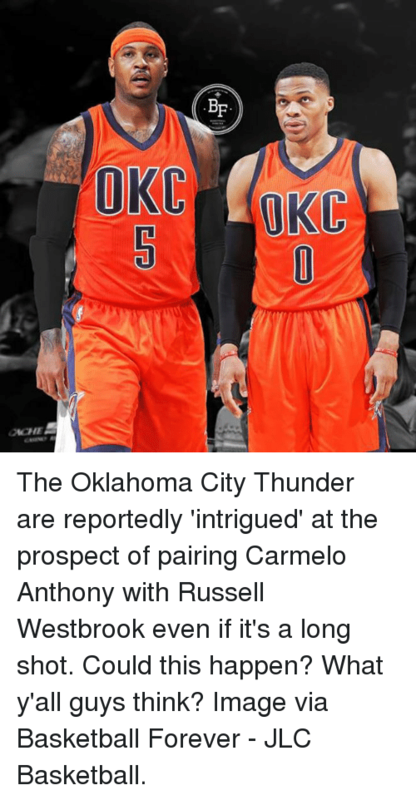 Carmelo Anthony, Memes, and Oklahoma City Thunder: BF OKC The Oklahoma City Thunder are reportedly 'intrigued' at the prospect of pairing Carmelo Anthony with Russell Westbrook even if it's a long shot. 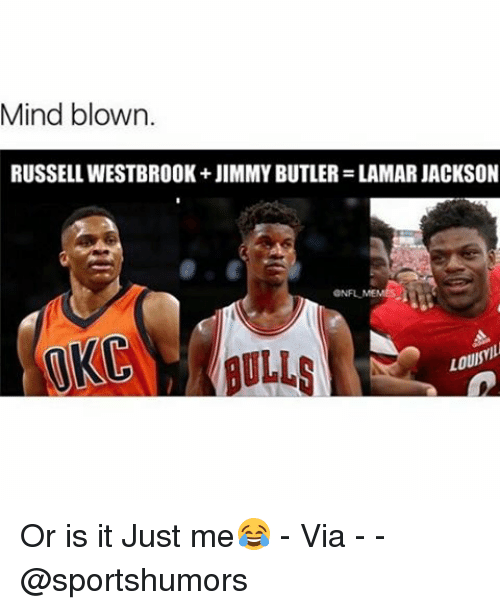 Could you see it working? 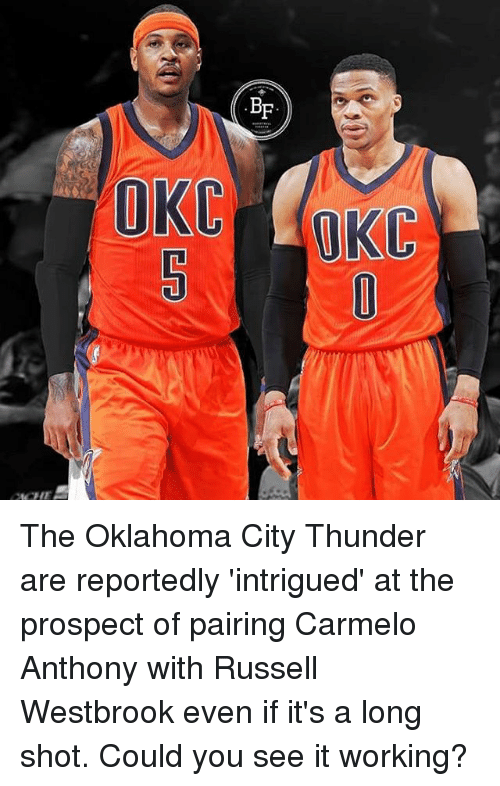 Basketball, Carmelo Anthony, and Memes: OCHE The Oklahoma City Thunder are reportedly 'intrigued' at the prospect of pairing Carmelo Anthony with Russell Westbrook even if it's a long shot. 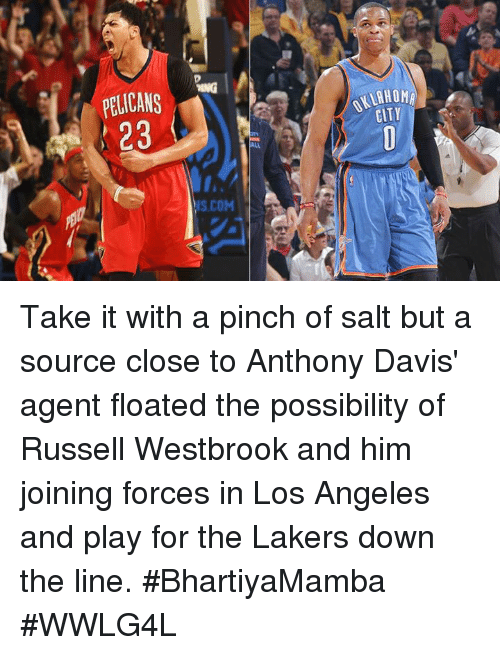 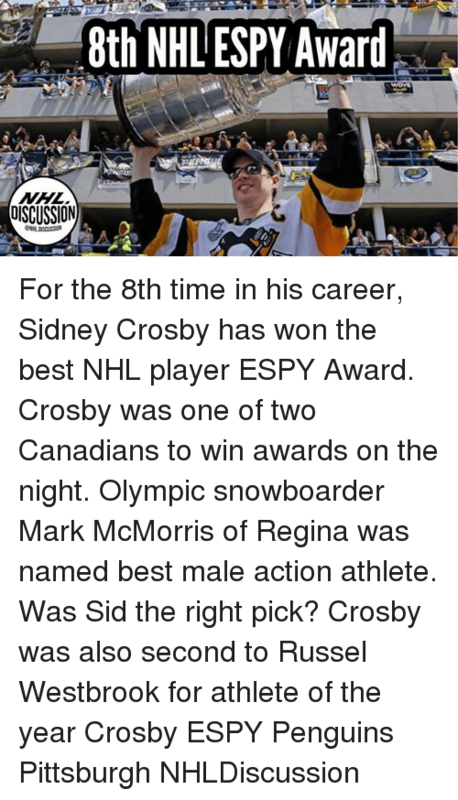 Could this happen? 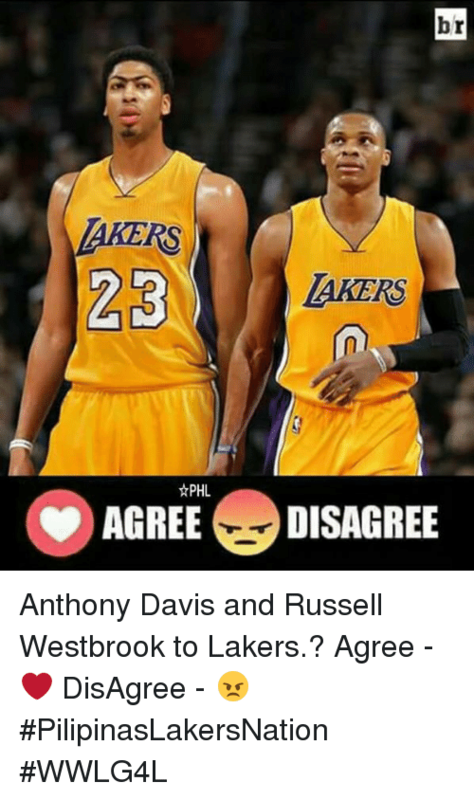 What y'all guys think? 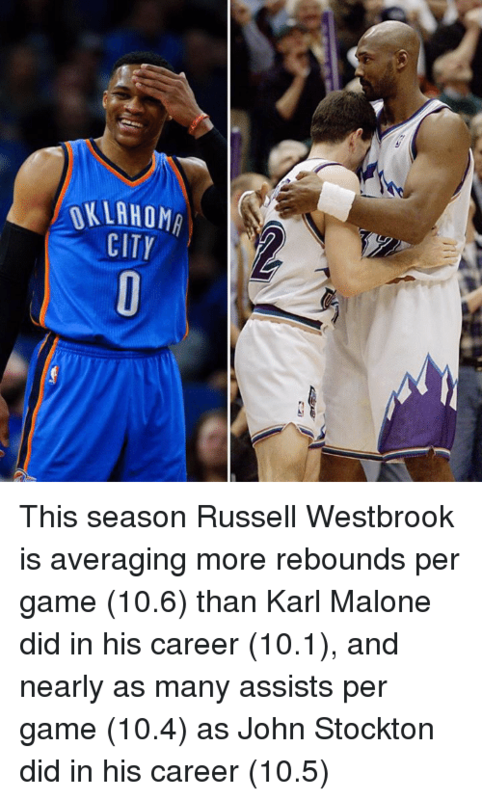 Image via Basketball Forever - JLC Basketball. 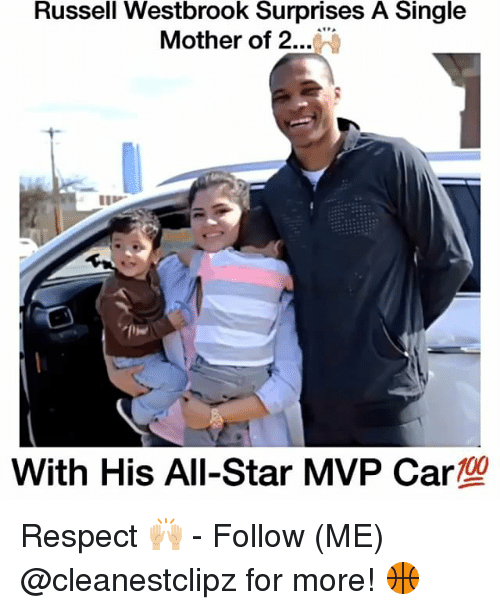 Memes, Russell Westbrook, and 🤖: O POINTS REBOUNDS 10 ASSISTS O K L A H O M A 7h45 O KL Russell Westbrook just got his 22nd triple-double this season. 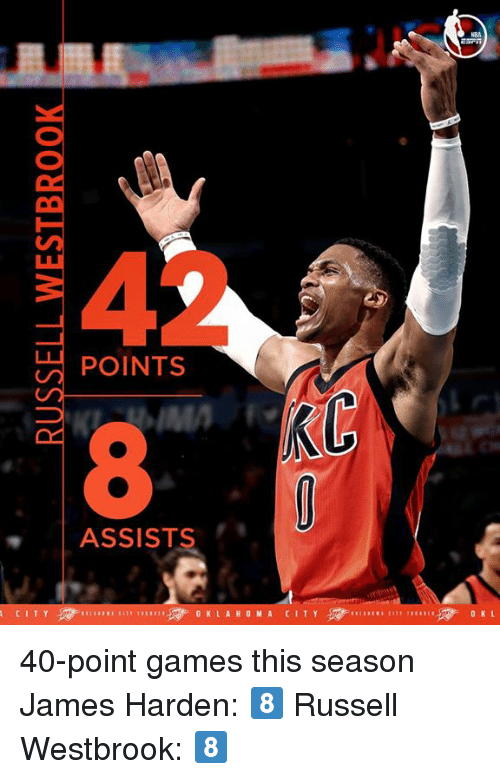 That's tied for the 5th-most in a single season in NBA history. 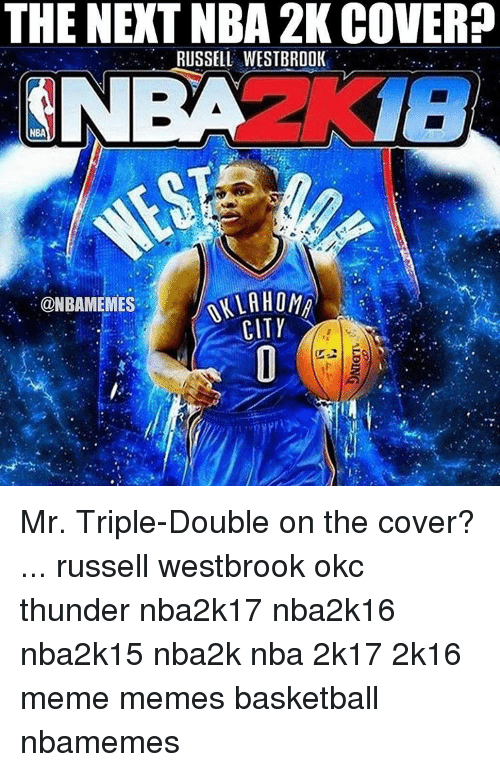 Russell Westbrook just got his 22nd triple-double this season. 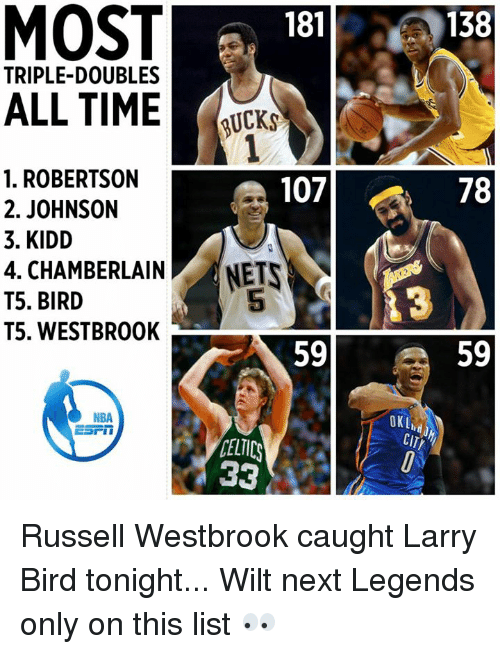 That's tied for the 5th-most in a single season in NBA history. 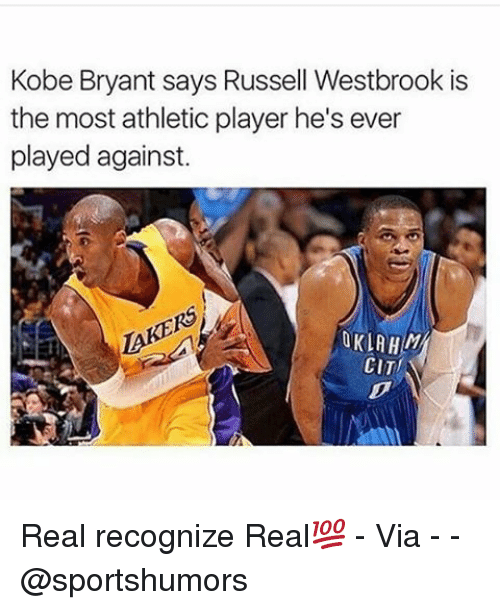 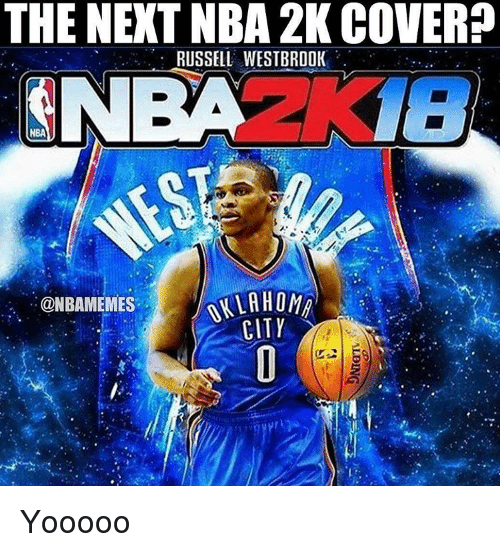 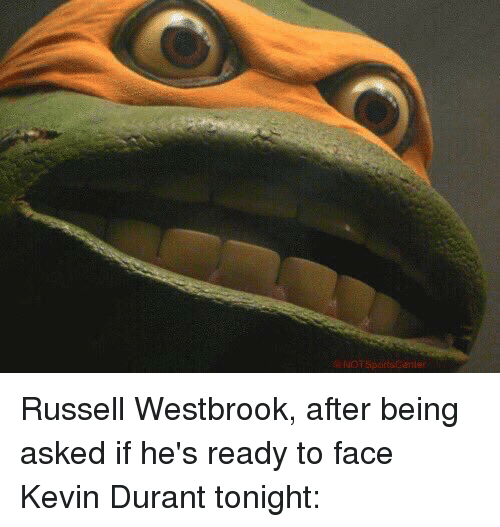 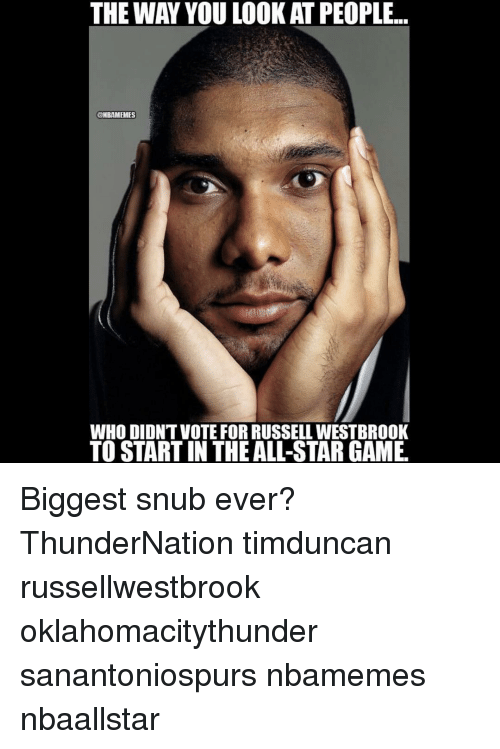 All Star, Memes, and NBA All-Star Game: SPORTSNATION TOYOTA Yes ALLSTAR NBA NE W ORLEANS 78% Do you think Russell Westbrook should be a starter in the NBA All-Star Game? 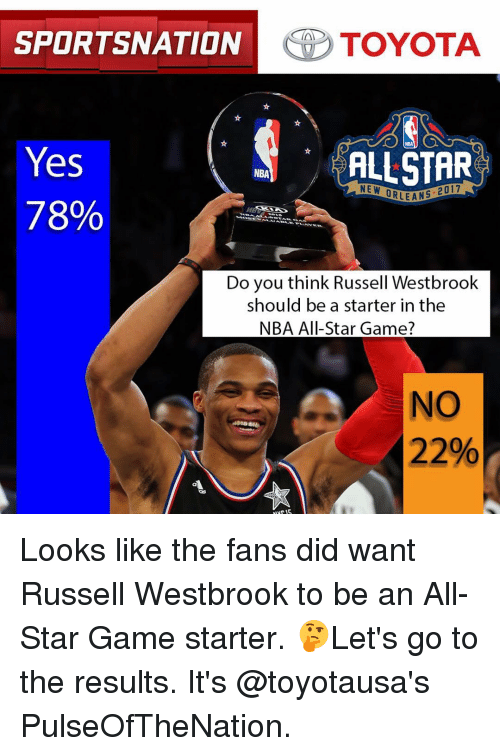 NO 22% Looks like the fans did want Russell Westbrook to be an All-Star Game starter. 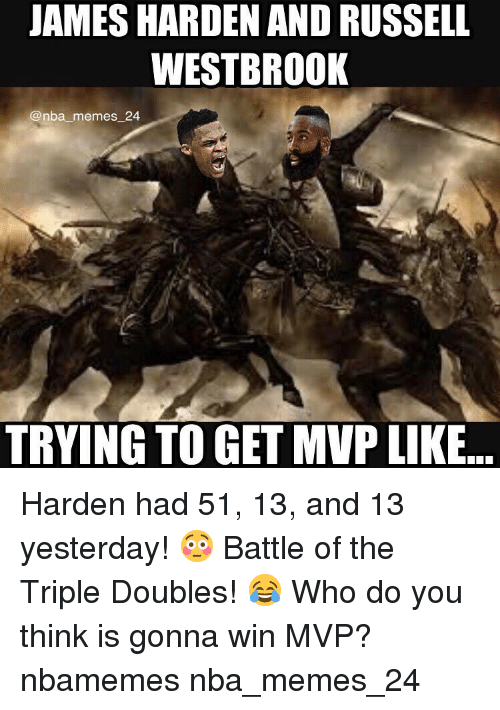 🤔Let's go to the results. 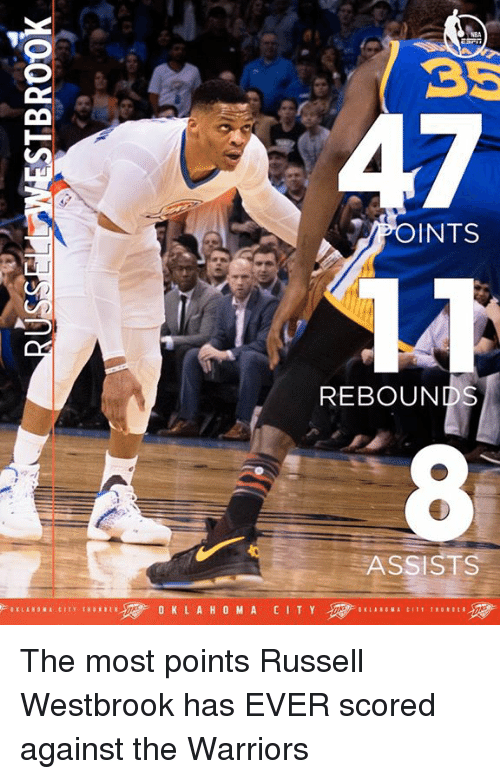 It's @toyotausa's PulseOfTheNation. 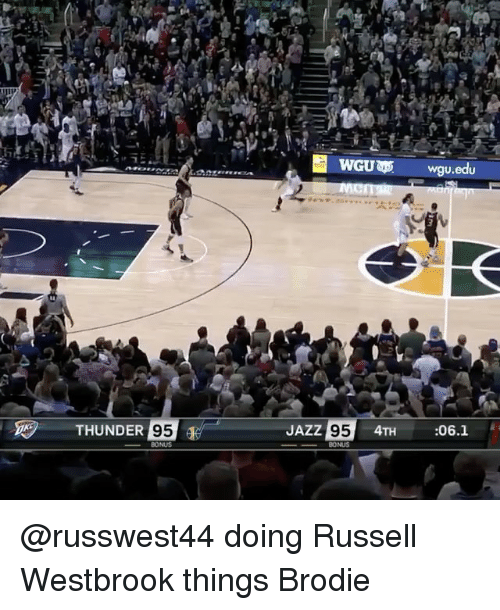 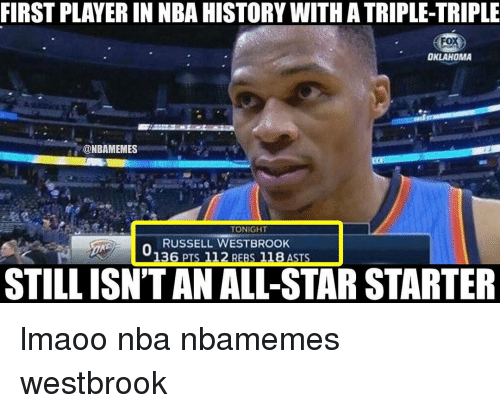 Looks like the fans did want Russell Westbrook to be an All-Star Game starter. 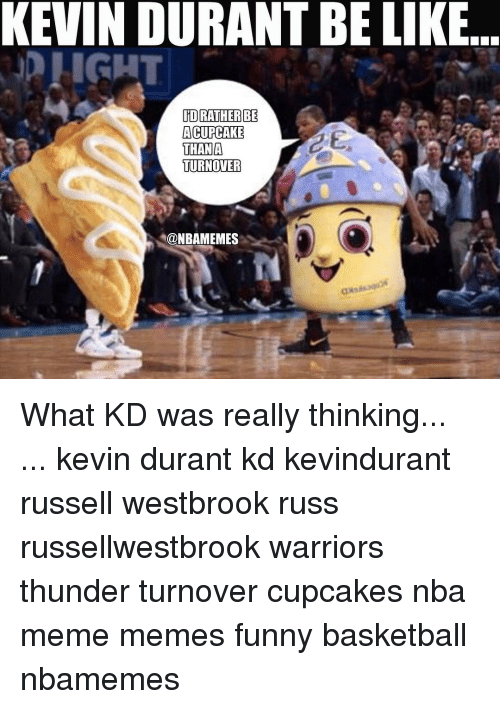 🤔Let's go to the results. 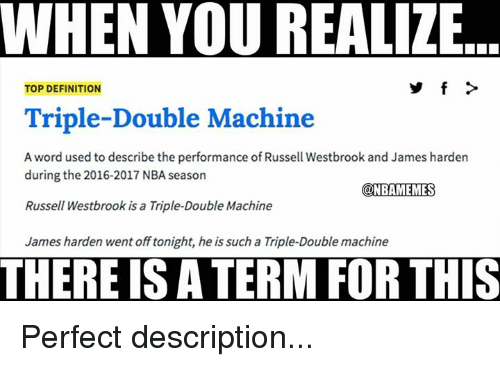 It's @toyotausa's PulseOfTheNation. 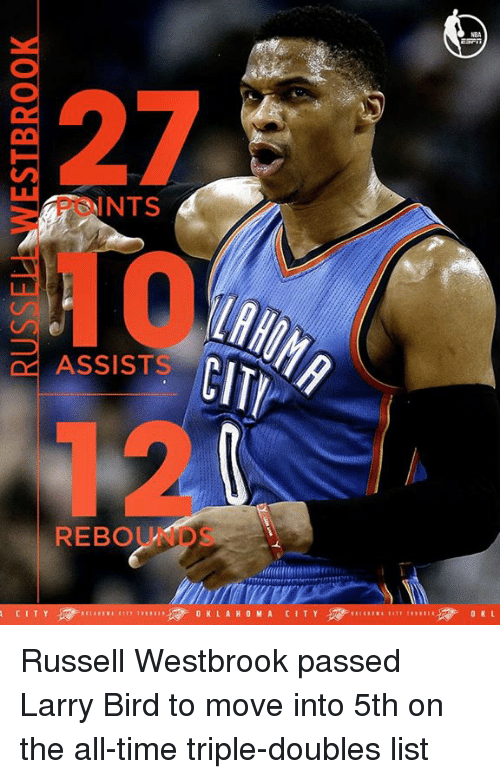 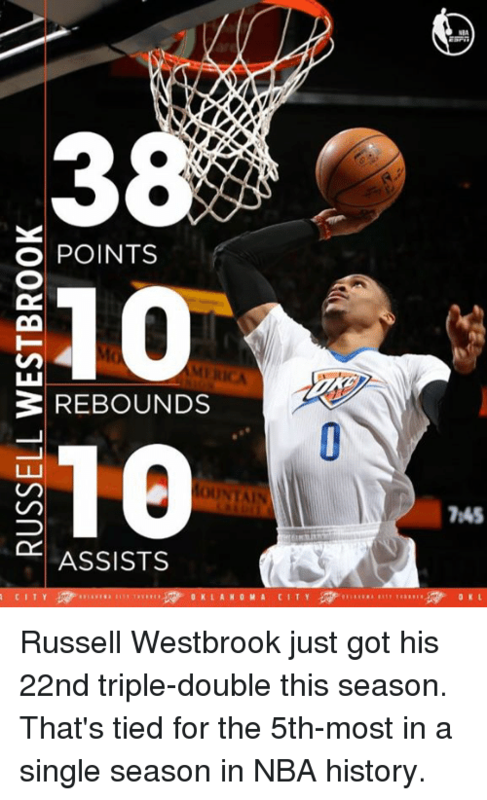 All Star, Russell Westbrook, and Sports: br HOMA CITY "I DON'T PLAY FOR ALL-STAR NODS. 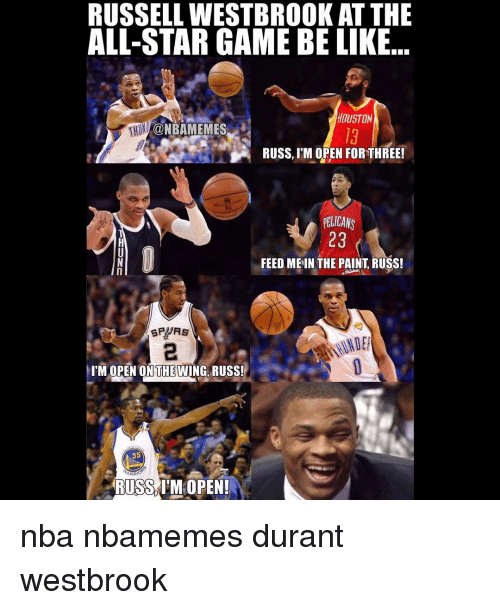 I PLAY TO WIN CHAMPIONSHIPS" RUSSELL WESTBROOK ON NOT BEIN (GVOTED ALL-STAR STARTER Westbrook wants bigger and better things. 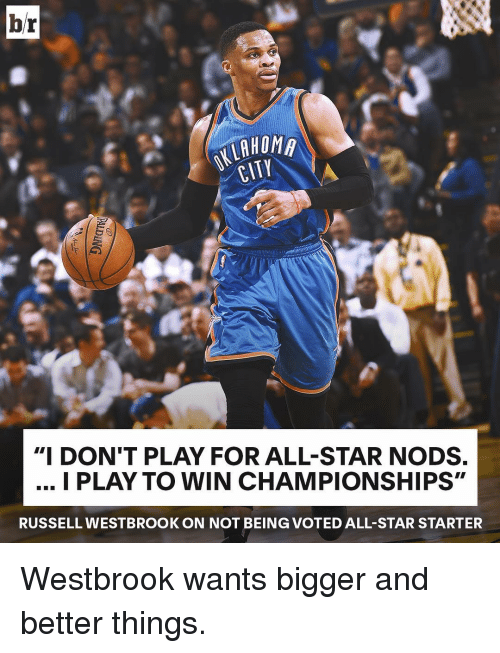 Westbrook wants bigger and better things. 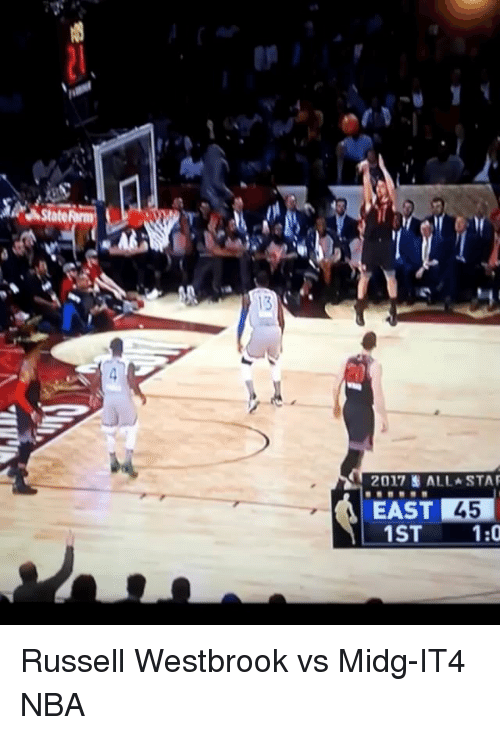 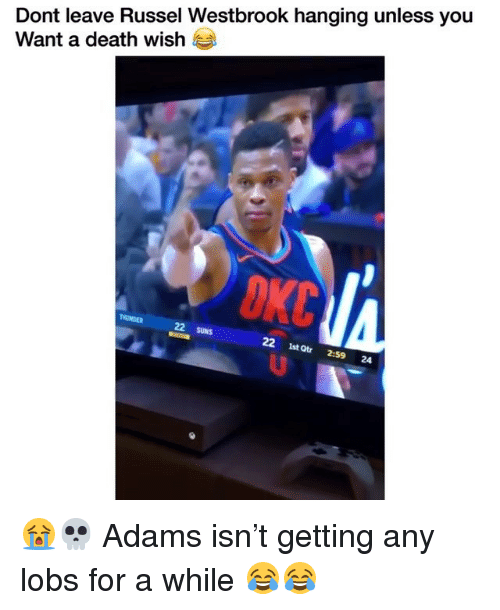 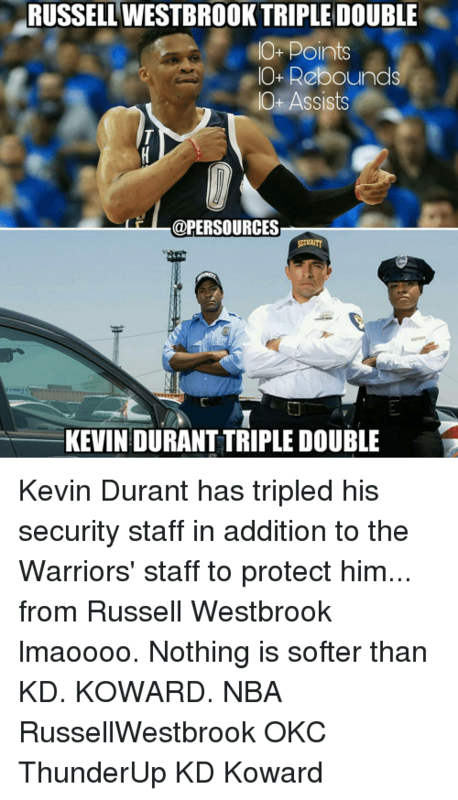 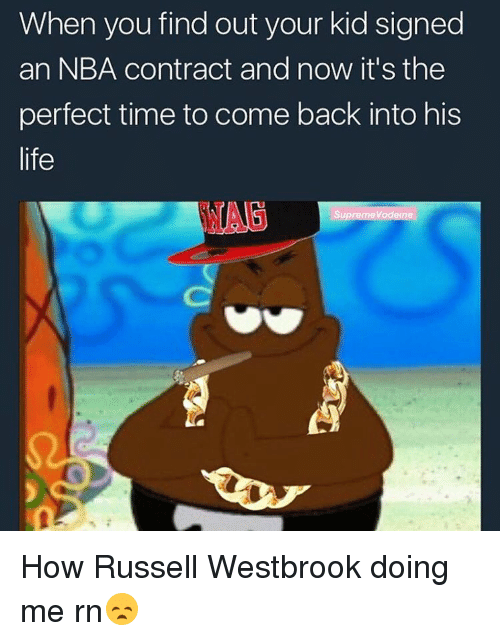 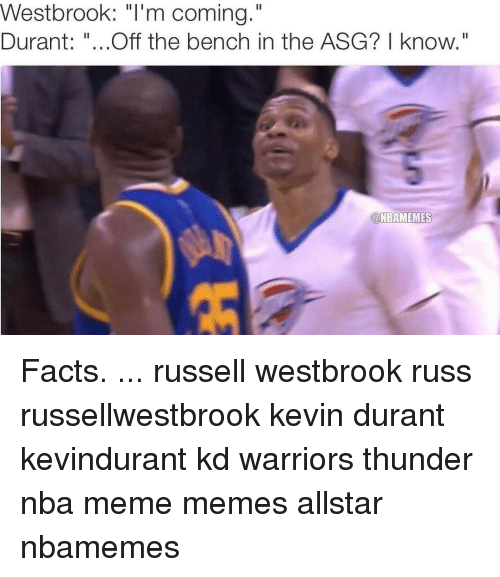 All Star, Memes, and Russell Westbrook: IT IS, WHAT IT IS IT'S THE NATURE OF THE BUSINESS, THE GAME. 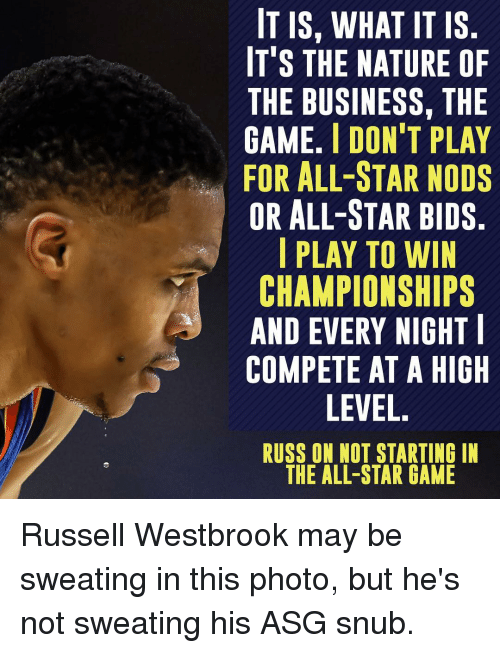 l DON'T PLAY FOR ALL-STAR NODS OR ALL-STAR BIDS I PLAY TO WIN CHAMPIONSHIPS AND EVERY NIGHT COMPETE AT A HIGH LEVEL RUSS ON NOT STARTING IN THE ALL-STAR GAME Russell Westbrook may be sweating in this photo, but he's not sweating his ASG snub. 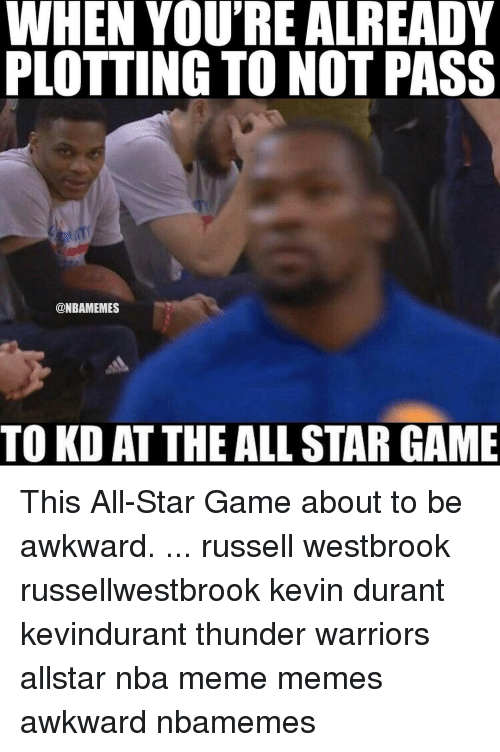 Russell Westbrook may be sweating in this photo, but he's not sweating his ASG snub. 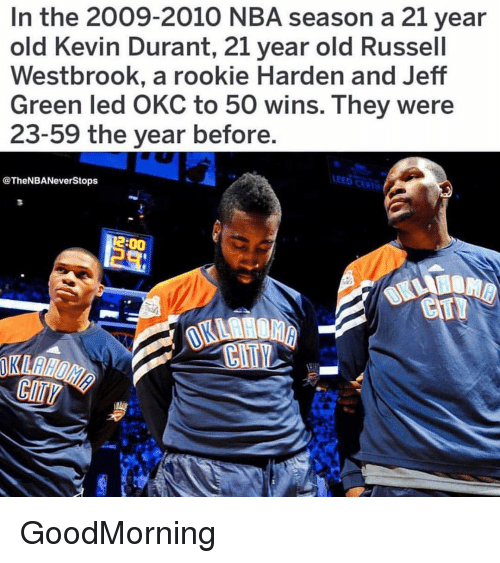 Carmelo Anthony, Chris Paul, and DeMar DeRozan: EAST GUARDS FRONT COURT 1.090.769 LeBron James Kyrie Irving 979.566 G. Antetokolunmpo 1.604.463 DeMar DeRozan 796.112 Joel Embiid 755.102 Kevin Love 471.697 Jimmy Butler 337.706 Carmelo Anthony 544.133 John Wall 301.437 Kristaps Porzingis 202.502 Paul George Jeremy Lin Kemba Walker 170.299 Tristan Thompson Avery Raban 1sa.54 WEST FRONTCOURT GUARDS Stephen Curry 1.848.121 Kevin Durant 1.768.185 1.771.375 Zaza Pachulia 1.058.agg Russell Westbrook 1.575.865 Kawhi Leonard 974.802 Klay Thompson 1.054.304 Anthony Davis Chris Paul 735.460 Draymond Green ordan Clarkson 340.593 LaMarcus Aldridge Andre lake 295.161 Manu Ginobili 214.670 Marc Gasol 22.705 HINDI NA SAYANG EFFORT NATIN MGA KA-MEMES!!! 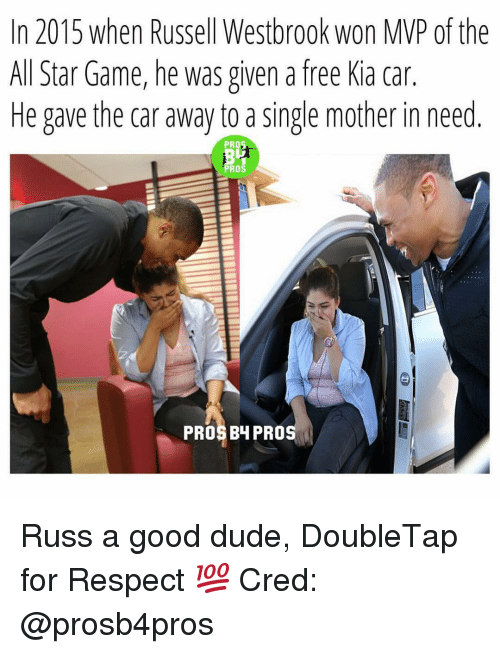 MARAMING SALAMAT SA MGA NAKI-ISA SA PAGE! 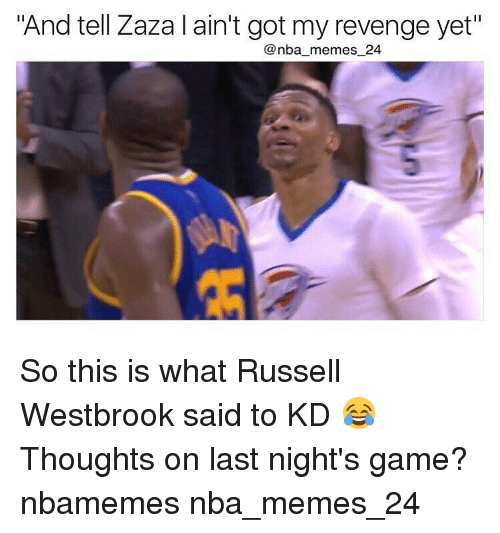 HINDI NA SAYANG EFFORT NATIN MGA KA-MEMES!!! 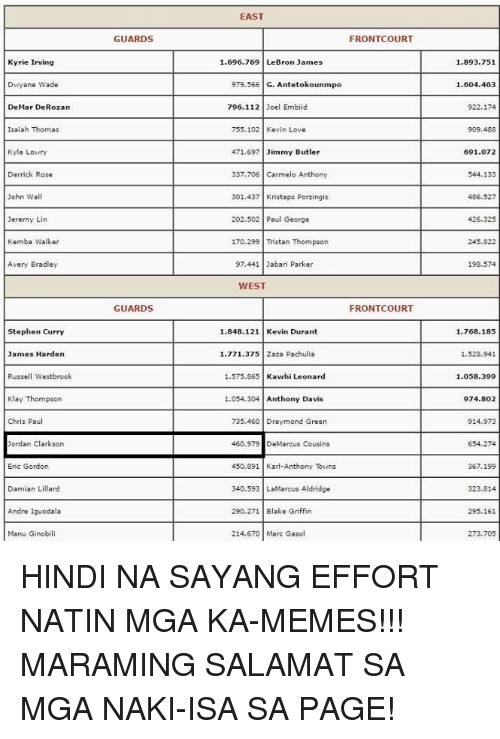 MARAMING SALAMAT SA MGA NAKI-ISA SA PAGE!